Melinda Gates first heard about the controversial memo written by an engineer at Google from her husband, Bill -- the billionaire founder of Microsoft. 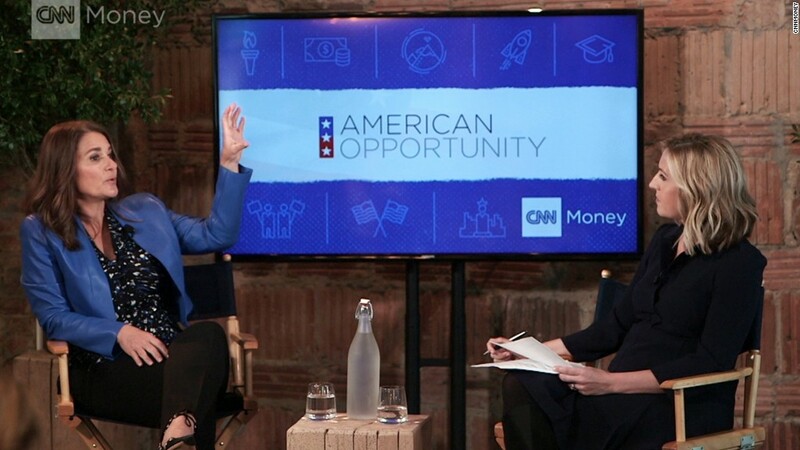 "He basically said, 'You're not going to believe this,'" Gates told Poppy Harlow at CNNMoney's American Opportunity breakfast in New York on Tuesday. In August, Google found itself at the epicenter of the debate over sexism in Silicon Valley when engineer James Damore claimed in a viral 3,300-word essay that women aren't as well represented in the tech industry because they are biologically different than men. That perspective didn't sit well with Gates. "When I read that Google memo, I didn't know whether to be sad or whether to be outraged. And I think the sadness came first. The sadness to see that kind of point of view," she said in her first public remarks on the issue. Gates, who studied computer science and worked as a developer at Microsoft (MSFT) until 1996, said she decided not to speak out at the time because she thought "enough people were." She pointed to an op-ed by YouTube CEO Susan Wojcicki as an exemplary response. In her column, Wojcicki relays a conversation with her daughter about the memo. She goes on to talk about how she continues to experience sexism within the tech industry, and how she empathizes with the women at Google who now face "a very public discussion about their abilities." 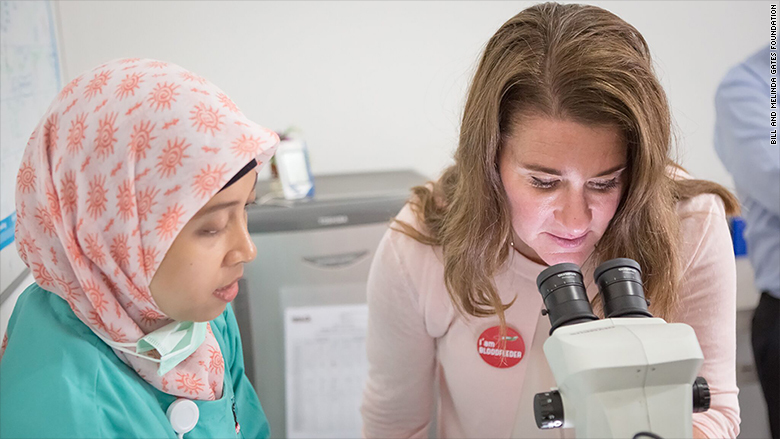 "To me, that was the most poignant piece and nothing else needed to be said for me," said Gates, who is co-chair of the Bill & Melinda Gates Foundation. Gates said the industry's gender problem is clear just by looking at the numbers. When she was in college, 37% of computer science graduates were female. Now it's 18%, she said. Things got worse when games started to become more "genderized," with a focus on sports and killing, she said. "[A]ll the sudden, when games started to become very genderized, you started to see the downtick. This huge falling off of women wanted to go into computer science," she said. Making matters worse are hidden biases throughout the male-dominated tech industry, she said. The venture capital community, in particular, "needs to clean up its act." "I think they also fund what they know," Gates said. "Today, they know male, white, Caucasian, in a hoodie, looks like a geek, comes from an Ivy League or equivalent school. That's their funding criteria." Only 6% of VC partners today are women, Gates added, and a mere 3% of companies led by women get VC funding. Gates is tackling the problem with her own money. Over the next 18 months, she plans to finance groups with funding models that show a commitment to gender equity. She's already partnered with Aspect Ventures, a San Francisco-based VC firm founded by two women. "Moving money is what will move the industry for women," she said. 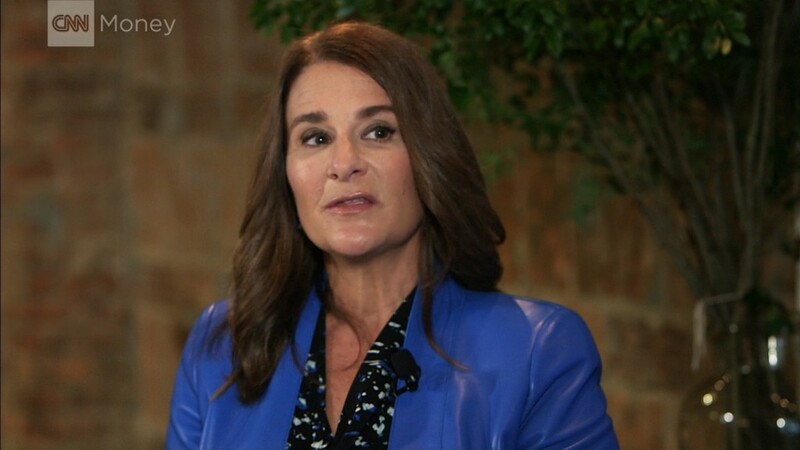 Gender discrimination is something Gates says she personally experienced "all the way through" her studies and career. Sexism was less of an issue inside Microsoft, Gates said, but it would occur when she'd attend industry events like conferences. Even in her philanthropic work, it's a recurring issue. "I still walk in places with Bill, and people... they assume he's the smartest person in the room, almost no matter if it's a man or a woman who walks in," Gates said. "But as soon as I open my mouth, you can sometimes look at the person's face and they're kind of like, 'Wow, she knows something, too.'" Gates says such hidden biases influence both men and women and are made worse by the fact that they're so rarely addressed. "We don't talk about what's going on," she said. But now she believes things are finally starting to change. "Tech is invasive," Gates told CNN's Harlow. "It's in all of our lives. Don't you want the people who are sitting behind that, programming it, to be people who have diverse points of view?"